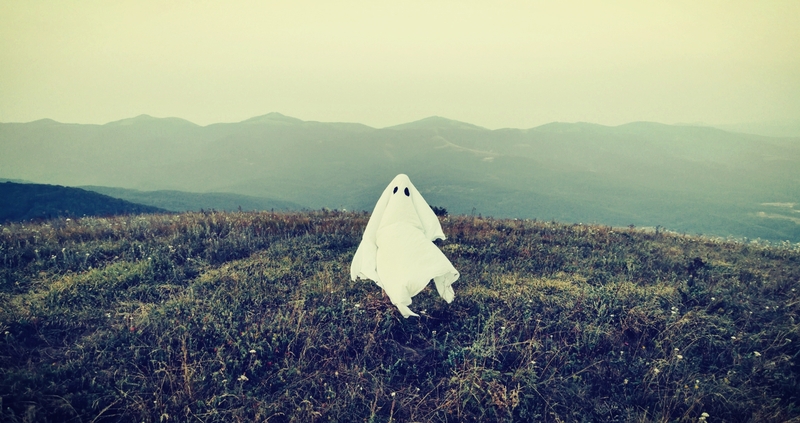 As much a national treasure as the haunts they frequent, South Africa’s ghosts are a tourist attraction in their own right — that’s to say if you have the guts to seek them out! Here are some of our country’s best spooky stories and the tours that keep these ghostly tales in remembrance. So settle in, read on, and remember to look over your shoulder every now and again, just to be on the safe side. 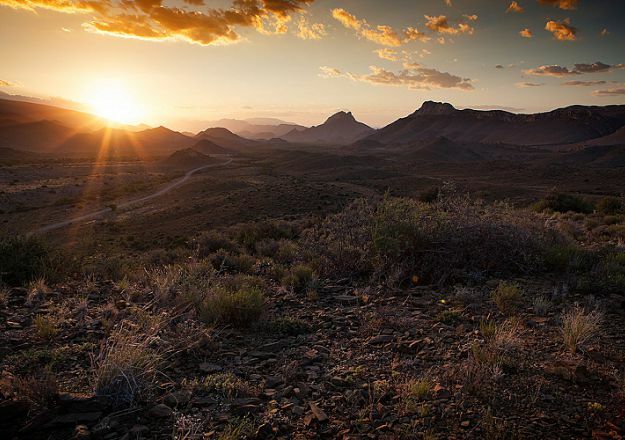 On windy, moonlit nights the grief-stricken cries of Eliza Meiring’s ghost resound in the Hex River Valley, echoing from the peaks of the Matroosberg Mountains. It is because of this that she has become known as the witch who haunts this breathtaking region. 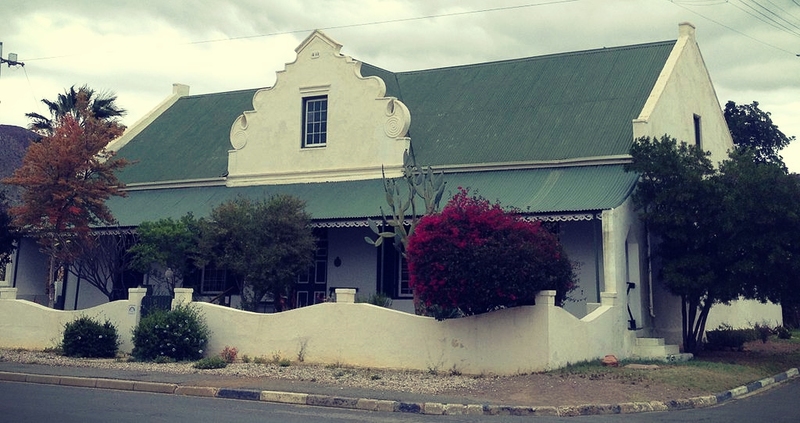 In the late 1700’s the beautiful but prideful Eliza lived at Buffelskraal. Pestered by suitors she cared nothing for, she set the district’s men a nearly impossible task in a frivolous attempt to deter them: To win her hand in marriage they would have to climb the highest peak of the Matroosberg Mountains and make their way to the perilous edge to pick the single red disa that grew there. Only with the disa as proof of their love would she accept their proposal. Though the Valley’s men were infatuated with Eliza, they quickly sobered at the prospect of falling to their deaths. But there was one suitor called Frans who loved the prideful Eliza dearly and whom, secretly, she loved in return. In order to demonstrate his devotion Frans summited the perilous peak, but disas, much like Eliza herself, are unreachable by nature and when the ground crumbled beneath him, the young lover plummeted to his death with the red disa clutched in his broken hand. On hearing the news, Eliza was so heartbroken that she went mad. In a bid to keep the anguished girl from harming herself she was locked in the attic room for some time until, one moonlit night she managed to get the window open. They say she was planning to follow in Frans’s footsteps, to seek the same end and somehow be reunited with her love, but her attempts were cut short when she fell from the window, breaking her neck on the stones below. Her initials and the year, 1768, was carved into the windowsill at Buffelskraal which still exists today and has recently reverted to its original name after being called Clovelly for a few years. 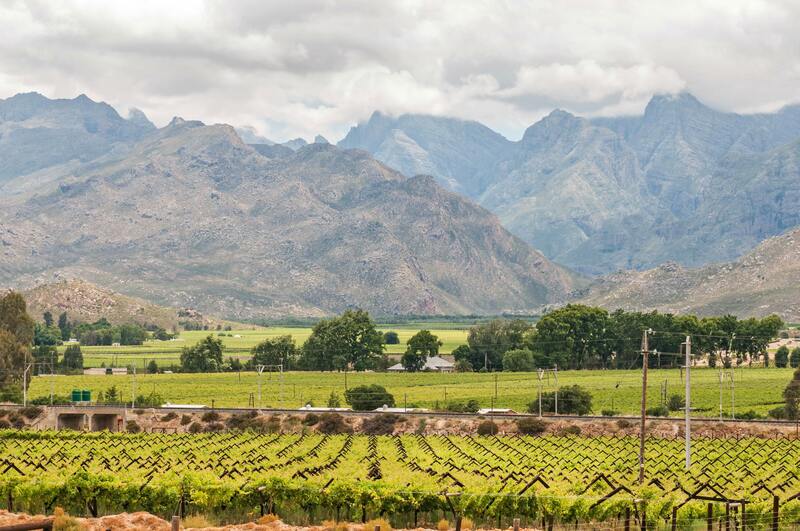 Peter Haarhoff from the Cape Photographic Company offers a photographic tour of the Cape Winelands when the vineyards start to turn their beautiful autumn colours. The tour includes Buffelskraal as one of its stops. One such story is that of the ghost lorry, an old Ford Thames truck with 3 occupants seated in the front and sheep railings on the back, which can only be seen at dusk. If you’re driving along the R356 on your way to Sutherland there are two low-water crossings followed by bushes and a turn in the road. Passersby have been freaked out to see this vintage lorry approaching the turn, disappearing behind the bushes, and failing to show up again after the turn. Apparently a lorry of this description had quite an accident passing through the crossing in the 1960s and seems to have been attempting the trip ever since, to no avail. Then there is the legend of a burning ox wagon and human remains found buried beneath an inner wall of the old farm house with unexplained footfall in the attic. It was also to this farm that Maria Magdalena Jooste and her slave lover fled after they murdered Maria’s husband with wolf poison in 1792 while staying in the Cape Fort. 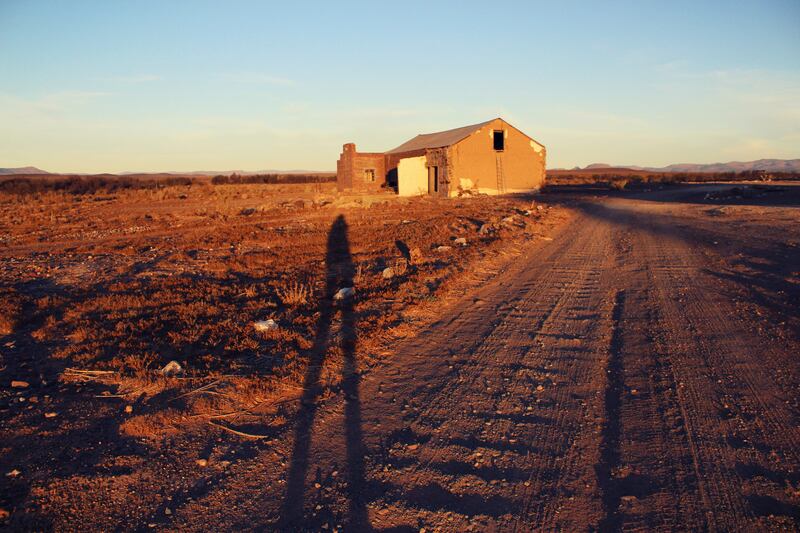 The lovers where chased down running into trouble at Karoo Poort where the slave was killed, and then at Saamsuip, a stop along the Forgotten Highway, where Maria was hanged and a makeshift grave erected. Maria’s gravestone was last photographed on the farm in 1921 by E.E. Mossop, but has since disappeared. 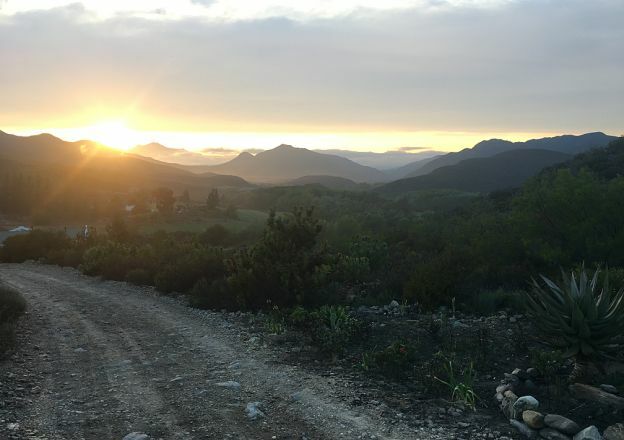 André Vermeulen and his wife, Mariechen, who currently manage the farm and the lodge at Sadawa are adept at storytelling and will relate what they know on request. 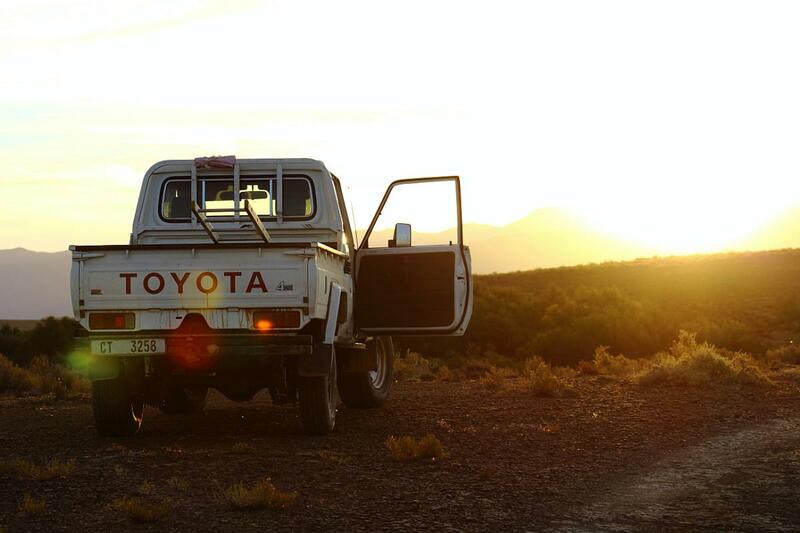 Of all the sleepy towns in the wide Karoo, Prince Albert has to be one of our favourites. With many a story to be told and rose-coloured afternoons filled with the soothing rustling of eucalyptus leaves, it’s not only the current inhabitants who love calling this town their home, ghosts like to stay on too! 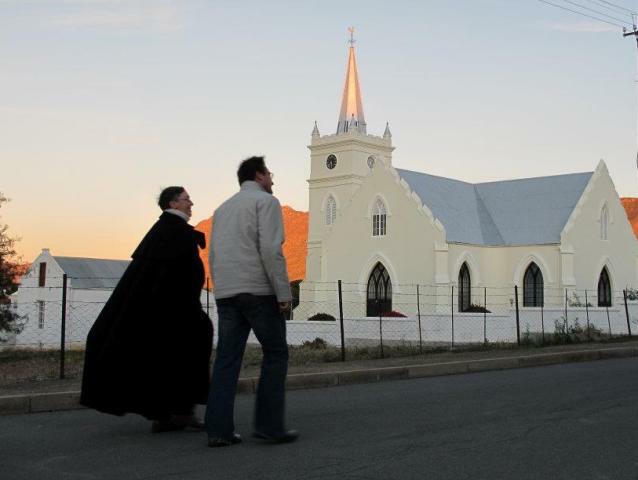 We asked the town storyteller and local tour guide, Ailsa Tudhope, which of the town’s many fascinating ghost tales she favours and she singled out Die Ou Doktershuis, a beautiful Cape Dutch house situated in Church Street as the site of her favourite story. Apparently guests who have stayed here would sometimes be woken by a disturbing squeaking sound coming from the loft. Those brave enough to face the eerie noise would have to make their way along the outside of the house to the loft staircase at far end since there are no stairs in the house itself. Once they had climbed the steps up to the loft door they would peer inside to find … a dark, empty space. However some claim to have seen something completely different! To those ‘sensitive souls’ blessed with the gift of second sight, the loft would appear to be a beautifully furnished bedroom. And the source of the squeaking? A young lady dressed in a long, white nighty with lace cuffs bouncing up and down on the bed! 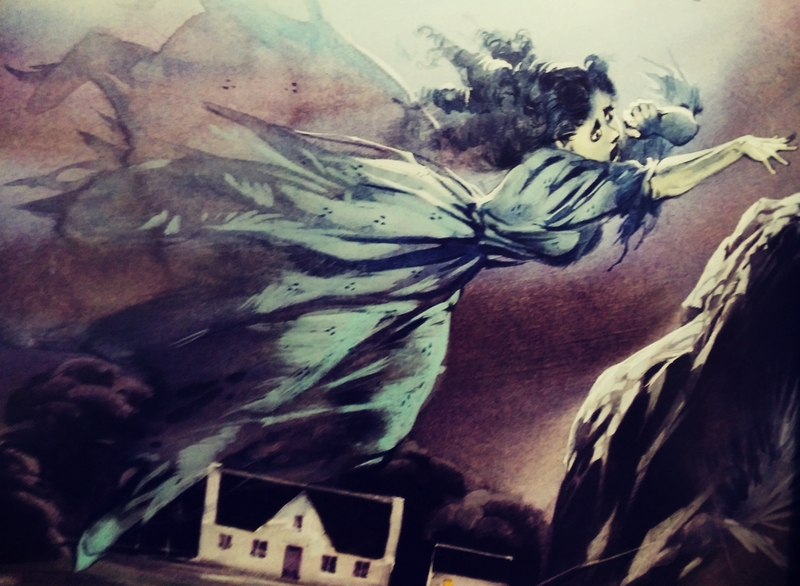 Why this playful ghost would choose to stay behind for the simple pleasure of jumping on her bed no one knows, but her ghostly appearance in the gable window has made many a passer-by jump just as high without the assistance of springs! Join Ailsa for a pre-supper stroll through the streets of Prince Albert as she relates this small town’s tales. 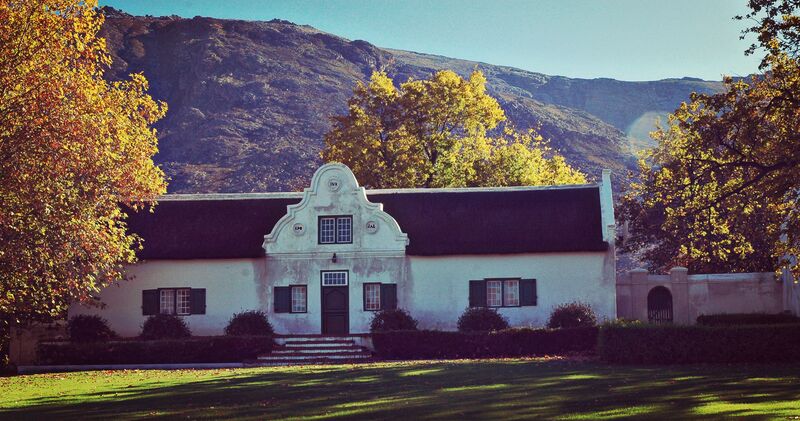 The tour starts at the Fransie Pienaar Museum at dusk and lasts about 2 hours. 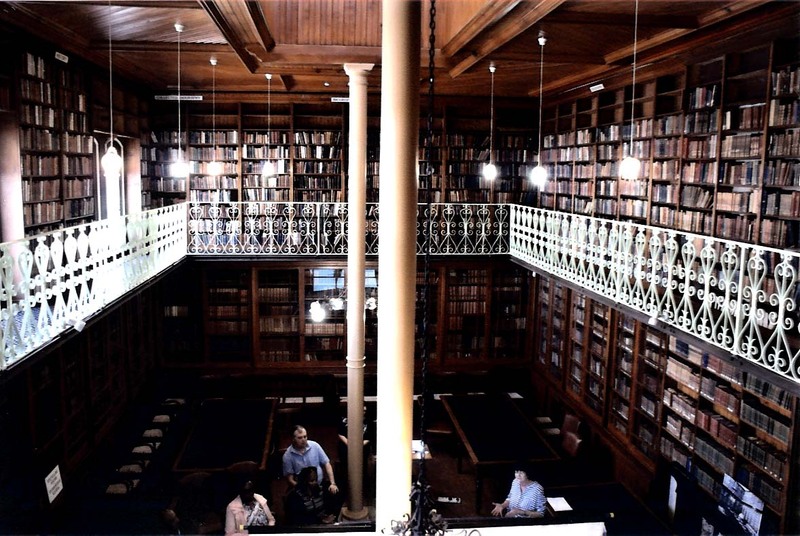 We’ve all had the pleasure of being shushed in a library at some point in our lives. These temples of knowledge are hallowed spaces and definitely not the place to make a noise. But what if the appearance of a librarian ghost is the very cause of your shrieking? Will the ghostly figure still shush you then? If these are the types of questions that keep you up at night, or if you’d simply like some excellent assistance from the current (and deceased) librarians at the Kimberley Africana Library, the story of Bertram Leslett Dyer is worth a read. 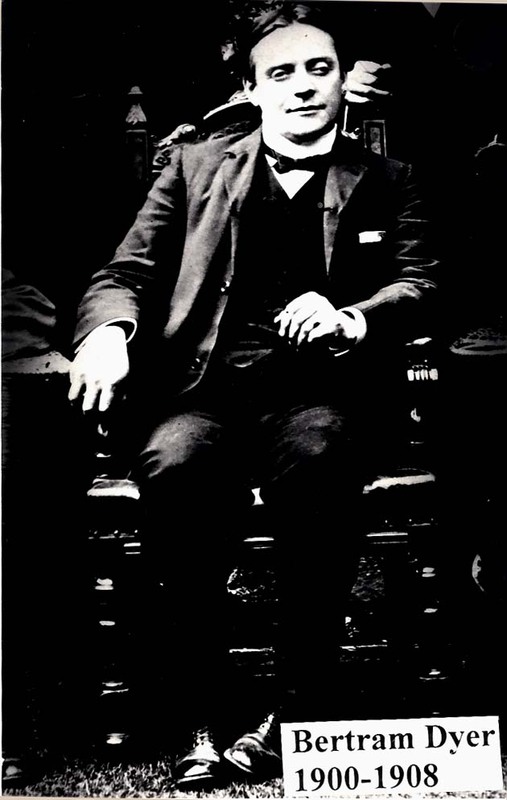 Dyer was the first fully qualified librarian in South Africa and was appointed at the Kimberley Public Library (later renamed the Africana Library) in 1901. He made a considerable contribution to the library and is even attributed the very first use of the word “Africana”! Unfortunately Dyer’s remembrance is somewhat overshadowed by his tragic end. 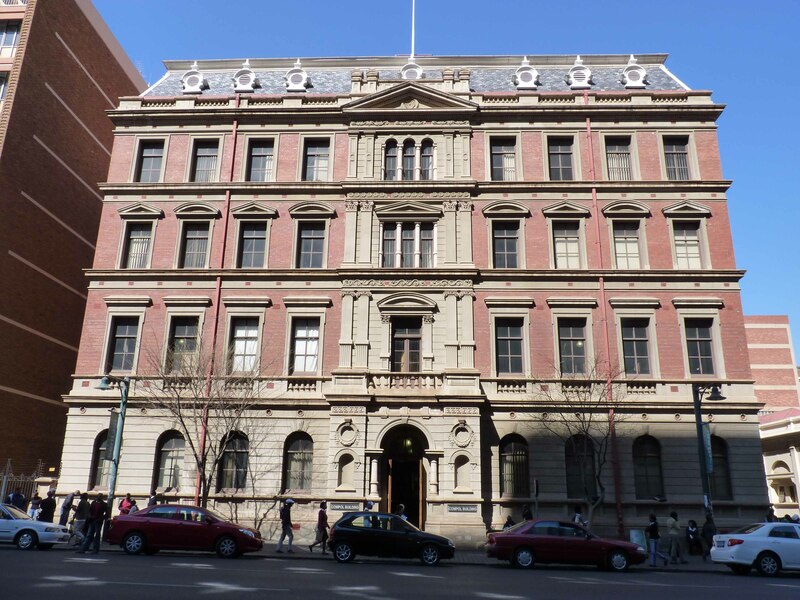 In 1908 an accountant who was brought in to make sense of some irregularities in the library’s accounts found that Dyer had slowly siphoned off approximately 2500 pounds (about R34 000) since his employment. The shame proved too much for the librarian to bear and he ended his own life by drinking cyanide. Since the dosage was incorrect, the poor man suffered for 3 whole days before passing away. He was only 40 years old. As the years have passed a man in period dress believed by many to be Dyer’s restless spirit, has been seen around the library. Some witnesses claim to have heard unexplainable footsteps or have seen books topple out of shelves for no apparent reason. Some say that if you’re looking for a particularly evasive book Dyer might just assist you by pushing it out of a shelf. What a helpful ghost! There are no ghost tours of this beautiful building in Du Toitspan Road since shrieking and screaming is strongly discouraged. But, if you’re a lover of research and books, the Kimberley Africana Library is always there to assist. They even helped us research this story! 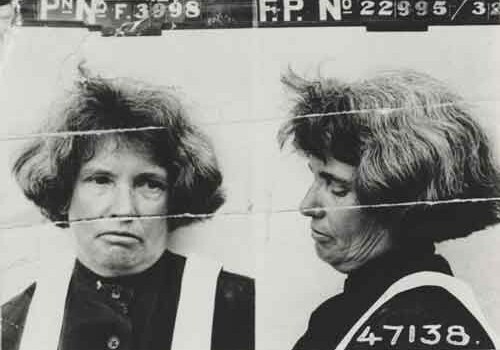 The infamous Daisy de Melker was South Africa’s first serial killer. She was hanged in Pretoria in 1932 after she had administered fatal doses of strychnine poison to two of her husbands and an equally fatal dose of arsenic to her son for financial gain. Daisy was only found guilty of the murder of her son, Rhodes Cecil Cowle, since there was no conclusive evidence to convict her of her husbands’ murders. Her 60-day trial was highly publicised and attracted a media storm which seemed to thrill De Melker as she smiled for the cameras. Being a trained nurse De Melker had a thorough knowledge of the uses and symptoms of poison and might have gotten away with the murders had it not been for her first husband’s bereaved brother becoming suspicious that the men in her life kept dying under strange circumstances. But De Melker is also said to haunt just about every place she has lived, worked or been incarcerated at. Her ghost might peep around the top storey curtain of her house on Club Street in Turffontein as if to see if the doomed men in her life are on their way home. She is said to have caused a regular streak of intercom failure at the Compol building in Pretoria at 16:40 every day, which is the time of day that she was interrogated there. She is even said to haunt Ward 7 of the Florence Transition Home in Braamfontein where she once worked as a nurse. Whether this is true or not, De Melker cuts quite a horrible figure in South African history and the ghost of a serial poisoner should best be avoided. 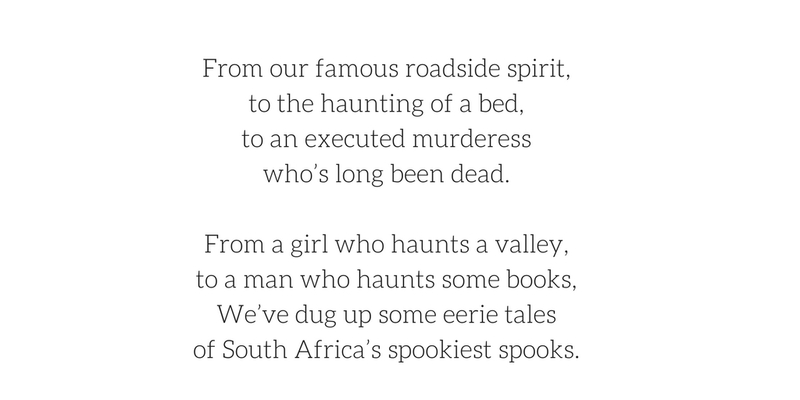 Go on a Mystery Ghost Bus Tour of Johannesburg for more on De Melker’s sordid story. They say it’s all fun and games until someone gets hurt, and that was exactly the case at Tokai Manor one New Year’s Eve in the early 1800’s. 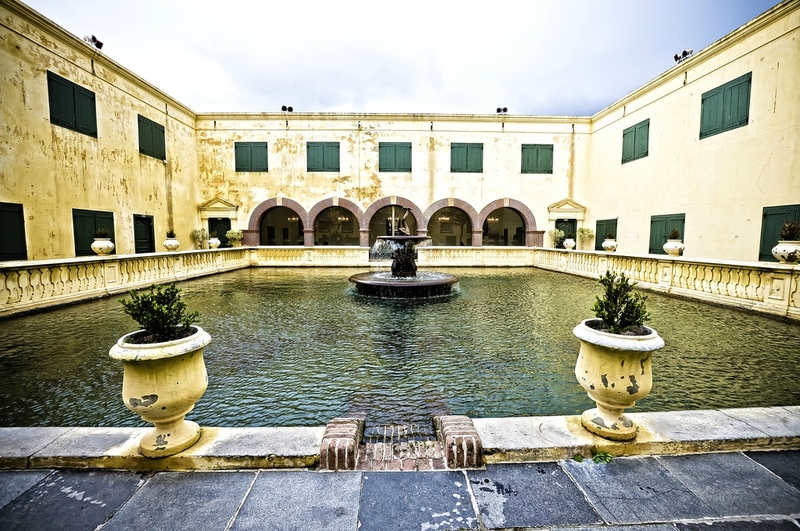 Boasting an elevated front verandah flanked by curving flights of stairs, this neoclassical building was considered the finest homestead in the Cape Peninsula when it was completed in 1796. But the manor house has been somewhat stained by the somber scenes that have played out here. First, the cost of erecting such a lavish house ruined its initial inhabitant, André Teubes, forcing him to declare bankruptcy in 1799. When the house was bought by Petrus Michiel Eksteen in 1802 it became the centre of the most lavish parties and banquets in the area. Petrus’ cellars were well-stocked as a rule and so his parties were always well attended. Mr Eksteen was an entertainer and a lover of fine, fun affairs so during one particularly rowdy New Year’s Eve he dared his son, Frederick, to ride his horse up the steep stairs at the front of the house and down the other side. Frederick, probably having had one too many himself at this point, accepted the dare and proceeded up the steps on his steed. Once atop the verandah, and with the cheers and shouts of those attending the party bolstering his resolve, the young man rode his steed into the dining room, around the table and out the front door wanting to descend on the other side of the staircase. His horse’s hooves slipped and slid across the polish wooden floors and, unable to stop at the speed that they were going, both horse and rider toppled over the edge of the high stoep. The suddenly sober partygoers were horrified to find that both Frederick and his steed lay dead at the bottom, Frederick having broken his neck in the fall. Not much else is known about the Eksteens of Tokai Manor after that, except that Petrus’s estate was declared insolvent in 1849. Since then no festivities have brightened the halls of the manor house. 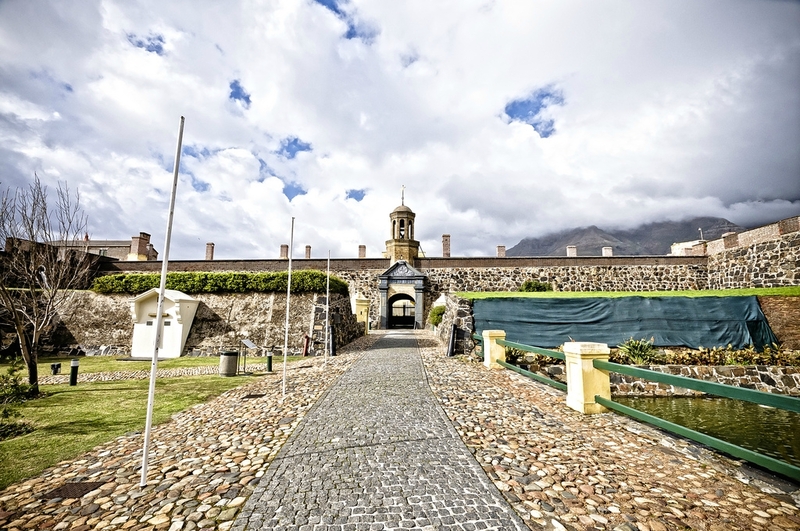 The property fell to the government in 1883 and was used as a reformatory until it was declared a National Monument in the 1960’s and later became the offices of the Table Mountain National Park. But some say that the sound of hooves can still be heard in the house now and then, and that a ghostly horse and rider are to be seen on the estate and in the dining hall, particularly on New Year’s Eve, when the spectre rushes towards the verandah, disappearing just as it starts to topple over the edge in a horrible mess of legs, hooves and screams. 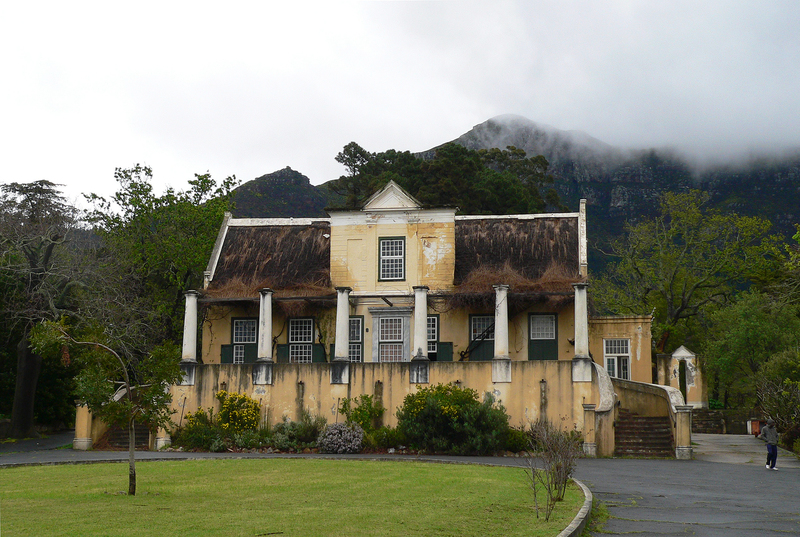 Simply drive all the way up Tokai Road to see this striking manor from the roadside, or join a Mystery Ghost Bus Tour of Cape Town which sometimes passes by the manor. André Leibrandt of Ghost Walk Simon’s Town says that he and business partner, Matthew Collard, started taking interested groups on ghost tours three years ago “mostly to show people that Simon’s Town has actually got a nightlife.” But this sleepy town’s nightlife is definitely not the conventional kind! 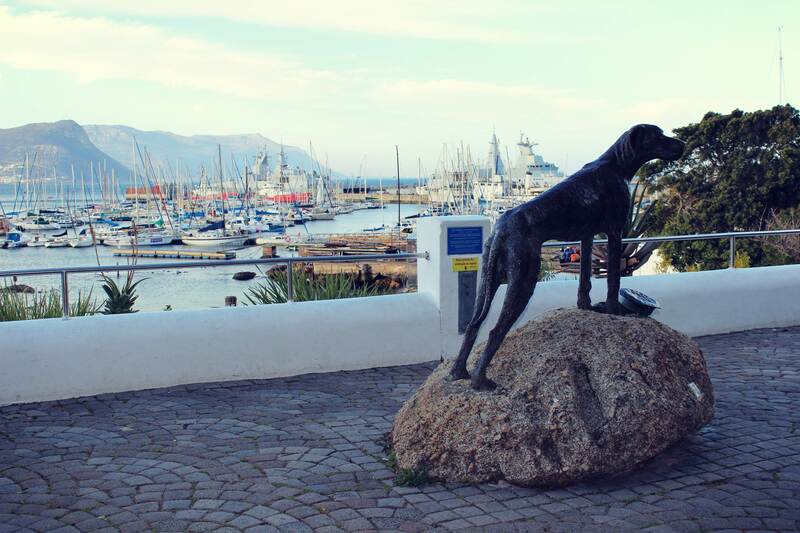 Apart from the activity generated by the South African Navy, Simon’s Town is a quiet seaside village with beautiful architecture and an abundance of jackass penguins. 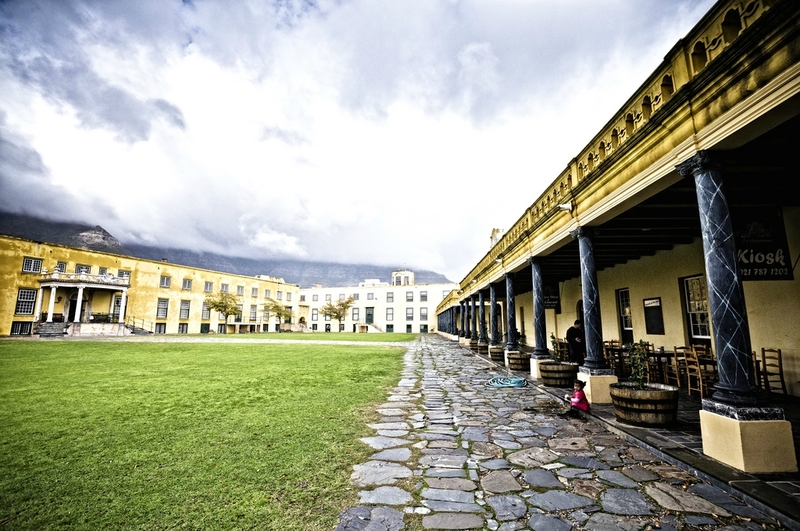 It is also the 5th oldest town in South Africa and, according to André, the most haunted per capita. One of the eerie tales André relates is that of the Selborne Dock, the Eastern Dockyard along St George’s Way. Sir John Jackson & Company was awarded the contract to build the dock in July 1900 after it had become clear to the British Admiralty that more space was needed to accommodate the bigger steam propulsion vessels which had replaced the timber and sail ships of before. The project was an ambitious one and many labourers, craftsmen and materials had to be shipped in to have it completed in time. At the height of the project, the labour force peaked at 3000! General labourers were brought from the Eastern Cape. Seventy-five Indian craftsmen were shipped here too, their duties including the quarrying of stone in the mountains that tower over the village and transporting the granite and sandstone blocks down to the docksite by means of an inclined railway system. Italian masons would be waiting to receive their building material below. This might sound like a well-conceived plan, but in the rush to complete the project within the stipulated time frame the labourers’ safety wasn’t the most important consideration, and it is safe to say that some corners were cut — excuse the pun! 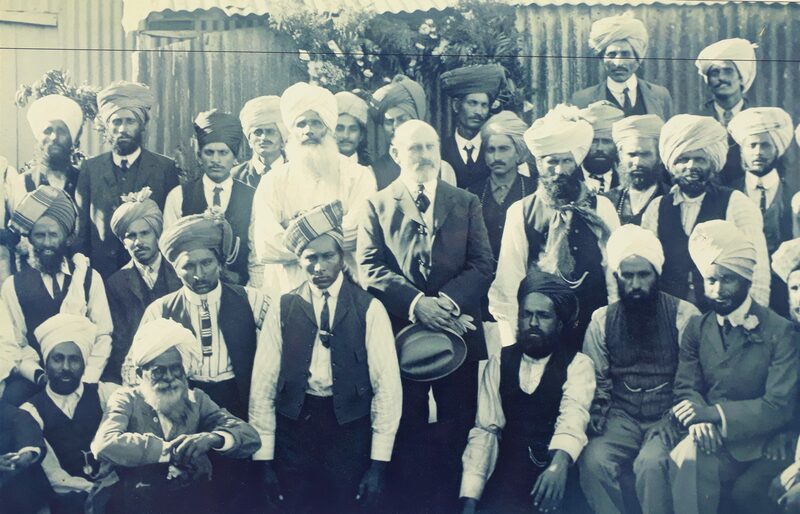 By the time the dockyard was completed in 1910, thirty-three labourers had lost their lives in the construction process. There are graves of Italian stone masons which can be visited in the Old Burying Ground just down the road from Selborne Dock. Since the Eastern dockyard’s imposing wall faces the sidewalk, one might pass by it on one’s way to the penguin colony at Boulder’s Beach. But beware — hands have been known to appear out of the sandstone structure, grasping at lonely passersby like the hands of drowning sailors at sea, before sinking back into the cursed stones. A spooky tale indeed, but just one of many on the ghost walk with André. Find out more about the House of Many Chimneys, the baby-killer in Black’s Lane, The Lavender Lady at the Naval Museum, a ghost that smells of fish and more on a stroll along St George’s Way. Join André and his friendly dog, Jessie, on a two-hour-long tour which departs from the Just Nuisance statue on Jubilee Square. As it is the oldest building in Cape Town, the Castle of Good Hope has its fair share of ectoplasmic tenants and eerie tales. Be it the phantom dog, the lovely Lady Anne Barnard who bathes in the Dolphin Pool, the cursed peacock painting that has been covered for the protection of visitors, or the drowned prisoners chained to the side of the pitch black dungeon at high tide, the historical fort’s stories are known as much for their scare value as for their historical significance. One of the castle’s spooky tales is that of Pieter Gysbert van Noodt who was governor at the Cape from 1727 until his strange and untimely death in 1729. Van Noodt was a thoroughly unpleasant man and was known for his ill treatment of soldiers at the Cape. His harshness towards the soldier led to 7 of them deserting their posts in 1729, but they were caught and though a more lenient sentence would have cast the despot in a better light, he acted true to his nature and sentenced 4 of them to the harshest possible punishment: execution by public hanging. Van Noodt would not even attend the spectacle, but many heard the curse that the last soldier spoke, calling van Noodt to divine justice before stepping off the podium to his death. Later that very same day, the governor was found slumped over his desk and, on closer inspection it was found that he had died — without any symptoms of ill health having preceded his demise. Worse still, his face was horribly contorted, expressing shear terror which was anything but characteristic for the merciless governor. It is said that though Van Noodt’s funeral procession had all the pomp and splendour of a governor’s send-off, his lavish coffin was weighted with sandbags while the unpleasant man’s remains were actually buried in an unmarked grave. The council that organised the funeral saw Van Noodt’s untimely death and the soldier’s curse as way too much of a coincidence and did not want him buried in a sacred grave. 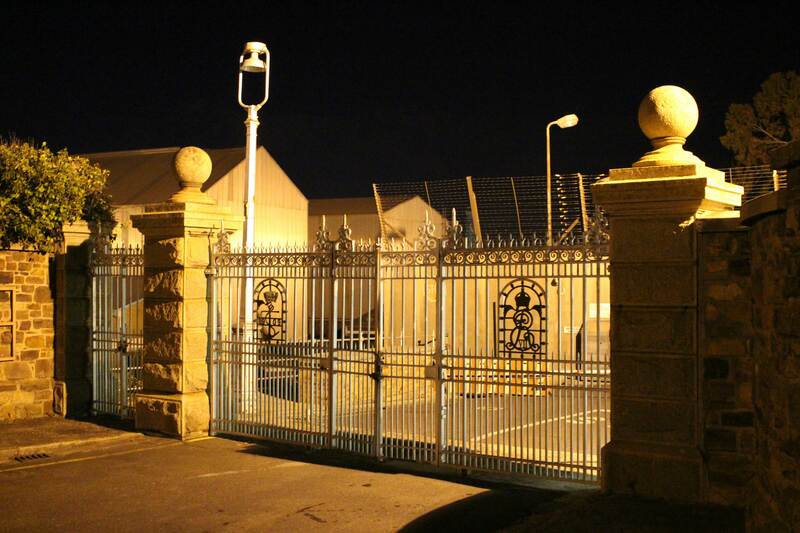 The Castle of Good Hope is currently doing preparations for a new and exciting nightly tour called “Castle after Dark”. Though not a ghost tour per se, this guided walkabout will include the many legends about the old fort and can be tailored to suit the needs of the group. A minimum of 10 guests are needed for each tour and corporate bookings and a pre-tour dinner can also be catered for on request. Prices vary according to the tour group and special arrangements to be made. Contact Doreen Hendricks at 0603427115, or call the Castle’s general line at 021 787 1249 to make a booking. 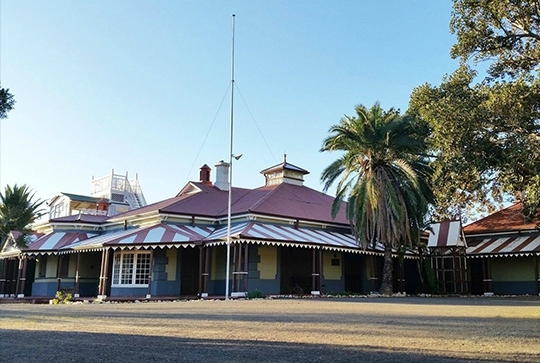 Once a centre of great economic importance for all of the small, bright pebbles that lay hidden below its surface, Kimberley has seen its fair share of feuds and fights, comings and goings. Maybe because of all these feuds, some of the deceased never got on their way to going and are still hanging around the city to this day. A sprawling red and white mansion with deep verandas, Rudd House seems to peer around the massive fig tree in front of it to stare menacingly at those who pass by. The original structure, called The Bungalow, consisted of only 4 rooms, but was repeatedly added to by generation after generation of Rudds until it was donated to the McGregor Museum in 1971. By then it had become a sprawling, squat house of labyrinthine proportions and no less than 22 chambers. As room after room was added to the house, it became a house of as many spirits. No less than 16 ghosts have been noted on the property, with one, The Lady in White, having been observed standing on the roof on more than eighty occasions between 1913 and the present day. A poltergeist has been active in specific rooms for extended occasions. Some chambers have a presence that has been felt by many, others have seen the ghost of a man appearing in a outbuilding’s window, or a man in a wheelchair. One group on local guide Steve Lunderstedt’s ghost tour looked on as a hand waved at them from a sunlight on the roof for more than half an hour! However, it is said that the servants’ area is the most heavily haunted part of the house. Rudd House is just one of the many confirmed haunted stops along Lunderstedt’s ghost route in the city. 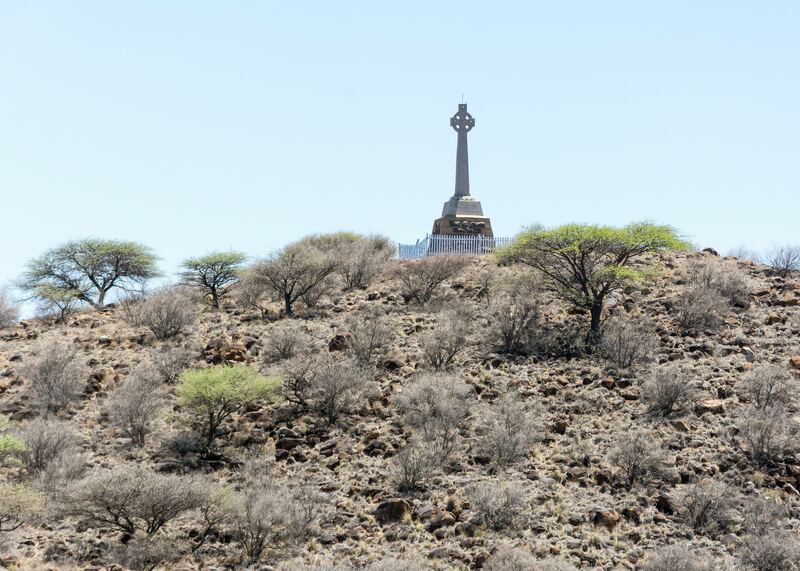 But he also offers a tour of the Magersfontein Battlefield where the British suffered a harsh defeat at the hands of the Boers in 1899 due, in part, to inadequate reconnaissance. 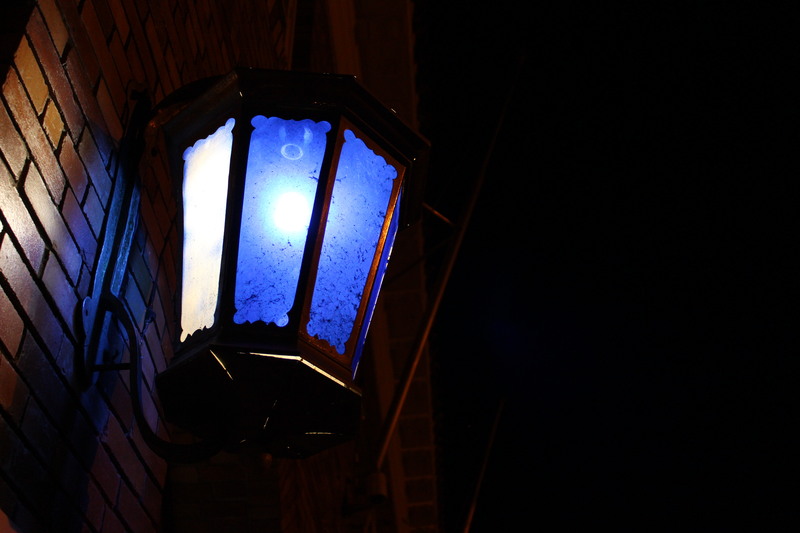 Legend states that unexplained lights can still be seen on some evenings, swinging over the space where the battle was once waged and reminding one of the lanterns medical orderlies employed after battle to search through the wounded and dead for signs of life. The sad and mysterious dirge of bagpipes can be heard annually, bemoaning the great loss of Highlander soldiers during the bloody battle. It is here at Magersfontein that around 800 British soldiers lost their lives in a miserable fight amidst rain, thunder and gunfire. Having to cope with the inexcusably poor reconnaissance and preparations of those in charge, they were put in an extremely vulnerable position. With his extensive tour of the battlefield, Lunderstedt will paint a thorough picture of “the nightmare into which marched the Highlanders” on December 11th 1899, a nightmare which seems to play out even to this day for some trapped spirits. Join local guide and historian Steve Lunderstedt on one of his famous ghost tours as he relates the historical details and some paranormal flourishes about the Diamond City and the Battlefield at Magersfontein. The Magersfontein and city tours are done separately and last between 4 and 6 hours. Magersfontein groups must have a minimum of 15 attendees. 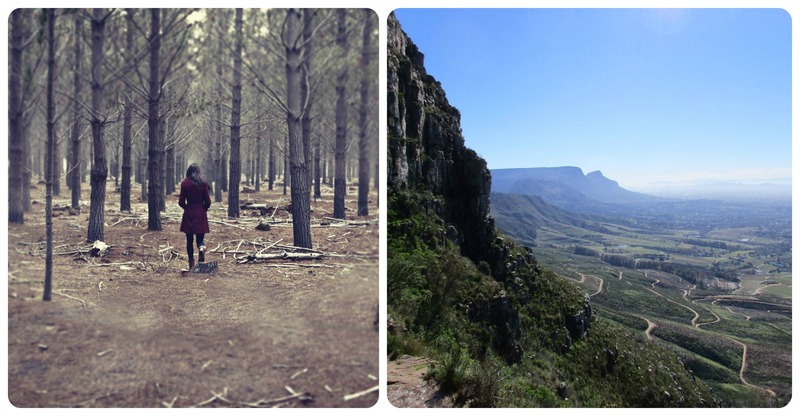 The cost of R200 includes the tourist guide fee and entrance fees. 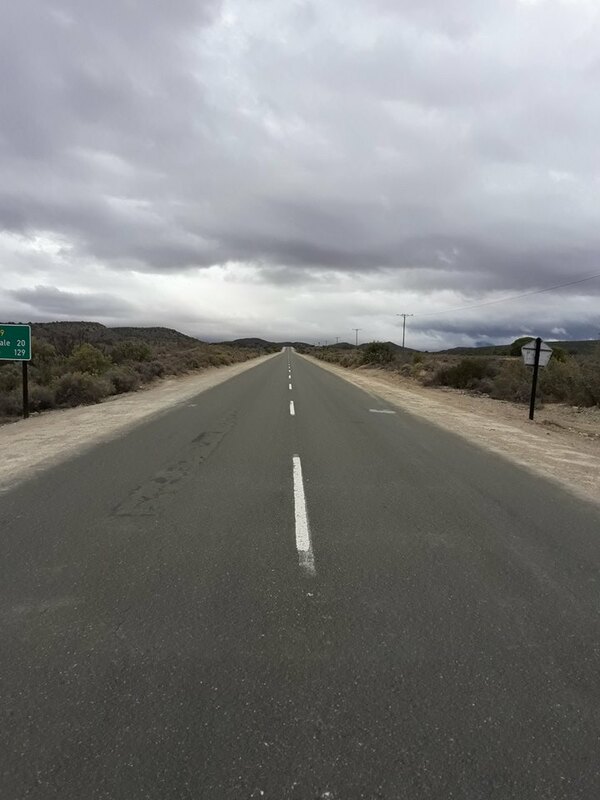 A blog about South African ghost stories just wouldn’t be complete without Uniondale and its array of spirits, many of them dwelling along the roads that surround this sleepy Karoo town. 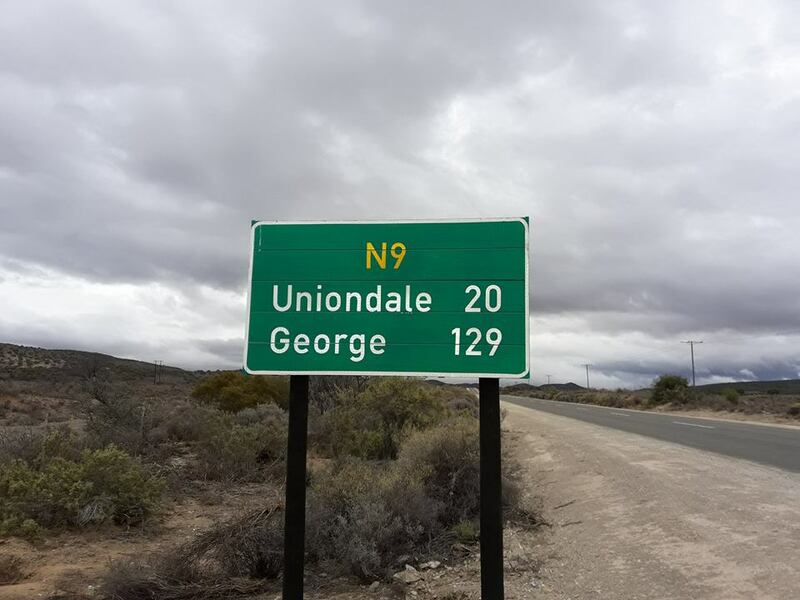 Uniondale might not have a vast array of tourist attractions, but the town definitely makes up for this with its community feel and abundance of peace and quiet. This might be why so many of its previous inhabitants have chosen to stay put after death, only coming out of “retirement” now and again to cause mischief or hitch a ride — these ghosts have places to go, people! It is said that sometimes the scent of apples fills one’s car before Marie, a somber, quiet figure, appears in the passenger seat. She disappears a while later. At other times she is seen walking next to the road. The ghostly figure never hitchhikes, but if drivers stop to enquire, she simply gets into the passenger seat and drives along quietly before disappearing. Rico Classen of the Uniondale Tourism Centre says that Marie’s ghost should not be confused with the range of other ghosts in and around the town. There is also the ghost of an unknown blonde girl who died in a motorcycle accident on her way to the neighbouring farm, the spirit of a well-known farmer who was murdered by one of his sharecroppers, and the mischievous spirit of a young boy haunting his old school building, today the town tourism centre and theatre, after the roof fell in during the early 1900’s. These are just some of the tales of Uniondale’s spirited inhabitants who make their presence known every now and again. Maybe you’ll see one of them one your way there, but drive safely lest the lonely roads around town want some more company. The town has done much research and gathered first hand accounts of the ghostly sightings from, amongst others, the nurse who placed Marie Roux in the town morgue. They are organising what will be the Uniondale Paranormal Triangle tour, a must when you pass by this way. Here’s to sleeping with the lights on! A big thanks to everyone who so generously contributed their stories and time. These include Bernice Nagel, Doreen Hendricks, Rico Classen, André Leibrandt, Ailsa Tudhope, Steve Lunderstedt, Peter Haarhoff and André Vermeulen.